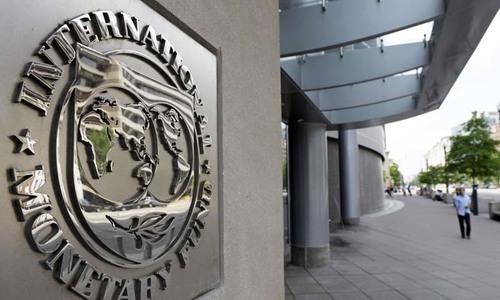 ISLAMABAD: Talks remained inconclusive between the International Monetary Fund (IMF) and the government of Pakistan for a bailout needed to build reserves and avert the possibility of a balance of payments crisis. A late night press release issued by the Fund said that “[o]ur dialogue with the Pakistani authorities will continue over the coming weeks”. Contrary to past practice, no press conference was held at the conclusion of the talks and the Fund team, headed by mission chief Herald Finger, left the country without any further comment. Both sides issued brief, but carefully drafted, statements of their own to the media. Both statements read substantially the same. Pakistan’s case for an IMF programme can now be taken up by the executive board of the Fund in the second half of January at the earliest. Programmes are finalised and funds released only after the board’s approval. The two sides had a concluding round of discussion before Finance Minister Asad Umar and IMF mission chief Herald Finger departed to Malaysia and Washington, an official said. In background discussions, senior officials said the two sides were able to agree on “80 per cent” of policy measures and had still “20pc” gap to bridge on all the five major areas — fiscal adjustment, monetary policy, further increase in electricity and gas rates and structural reforms. A statement issued by the Ministry of Finance said the two sides made “substantive progress” and the “positive engagement” will “continue over the coming weeks to finalise the programme with the Fund”. 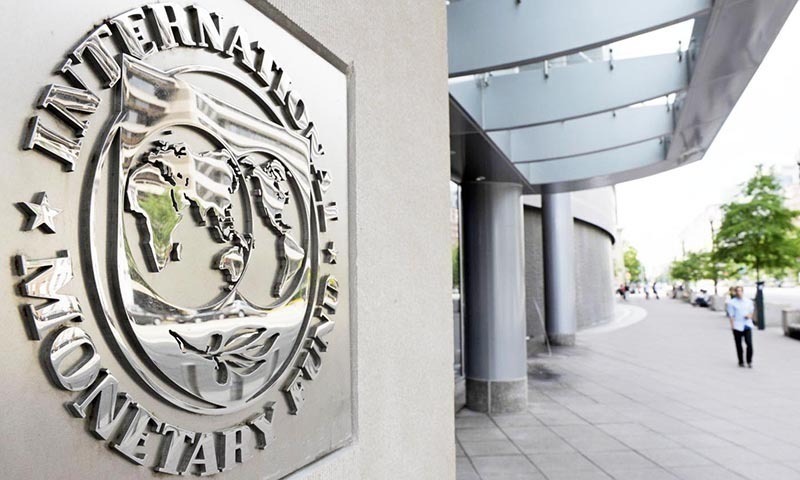 Likewise, the IMF mission said the two sides made “significant progress toward reaching an understanding on policy priorities and reforms” and the “discussions will continue in the coming week toward reaching staff-level agreement”. Officials said the main obstacle to the staff-level agreement on a Fund programme was the timing and pace of the fiscal adjustment and reforms programme. 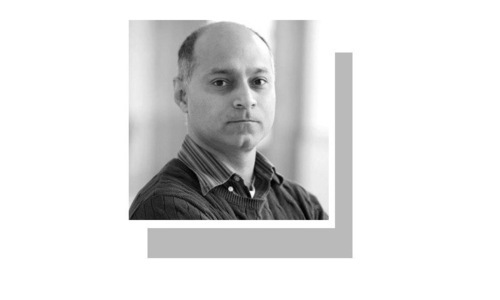 “There is little disagreement on policy measures between the two sides but the PTI government wanted a gradual process to pass on impact of painful fiscal and monetary policy adjustment to the people,” an official said. He said the IMF wanted upfront deliverables on increase in taxes and energy costs while Finance Minister Umar wanted three years to complete the adjustment process. “These are unusually difficult negotiations in view of many reasons including prevailing geopolitical situation,” said an official but disagreed that recent exchange of harsh tweets by President Trump and Prime Minister Imran Khan had anything to do with the process. He also ruled out its negative impact on Pakistan’s exports to the United States. Another official said the IMF wanted an upfront plan to eradicate Rs1.2 trillion worth of power sector circular debt including around 20pc increase in tariff to ensure full cost recovery. “We believe the circular debt actually payable is no more than Rs630bn for which we will commit a three-year framework. This is not possible immediately,” he said, adding the government had only recently increased power and gas rates. There is a need for proper spacing, he said. In the meanwhile, he said, the government was working on recovery of Rs140bn outstanding arrears from defaulters during the current year. He said Pakistan was now in a comfortable position after availability of $6bn from friends against a $12bn financing gap and another $3-4bn could be arranged “from here and there”. Officials said the IMF wanted to complete programme benchmarks in two years and the finance ministry wanted to stretch them out to full three years to prolong the painful adjustment. They said the two sides would revive dialogue through email and video-conferencing next week to work out differences before Christmas holidays and hopefully the IMF staff would take Pakistan’s case to the executive board by second or third week of January. Responding to a question, finance ministry officials did not agree that IMF wanted to include in its programme benchmark the compliance with Financial Action Task Force targets regarding anti-money laundering and counter terror financing (AML/CTF) efforts, or otherwise link the programme with the action plan Pakistan has committed to FATF. The officials also denied that the IMF pressed for an increase in GST rate and explained it came up internally from a stakeholder to boost revenues and was rejected by the finance minister himself. Informed sources said the two sides disagreed on the revision in revenue target to Rs4.75 trillion instead of Rs4.39tr at present. A gap also existed on further devaluation, increase in currency exchange rate and some other issues but the officials declined to discuss specific details. The IMF only said that the “two sides made substantive progress towards developing a common understanding on the policy and structural reforms framework for the prospective IMF programme, including fiscal and monetary measures, corrective interventions for balance of payments sustainability, pro-poor spending, governance and development of a business-friendly environment”. The Fund’s resident representative remained unavailable for further comment or discussion till filing of this report. 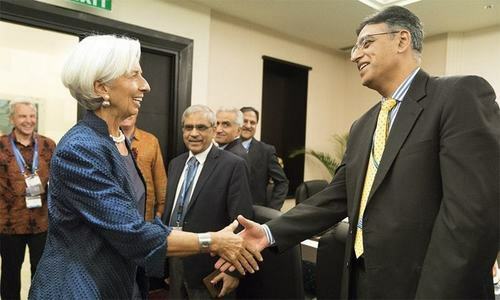 The IMF said its mission had “been engaged in productive discussions with the Pakistani authorities on economic policies and reforms that could be supported by a financial arrangement with the IMF. In this context, there has been broad agreement on the need for a comprehensive agenda of reforms and policy actions aimed at reducing the fiscal and current account deficits, bolstering international reserves, strengthening social protection, enhancing governance and transparency, and laying the foundations for a sustainable job-creating growth path”. Good decision by PM Imran Khan. Through IMF out. I expect another U-turn, going to agree to all IMF conditions. After objection from China, Pakistan declined IMF request to share the detail CpEC debt / financing. IMF is not Saudi Arabia or China. It’s HQ is in Washington DC. 70% of IMF money is US Taxpayers contribution. IMF is a financial institution which has terms and conditions. And it’s wants it money back until the nation which takes loan do necessary rigorous steps to curb corruption, raise taxes and money laundering. IMF doubt will give loan until money laundering is stopped. We need IMF. This is fact. Making tall claims and popular speeches may have it's value. The fact remains the same that country needs funds and creditibility of having IMF on board. How IMF to be persuaded to come on board on best possible term is the job of our Finance people and people who matters. In the meantime efforts must be made to improve revenues , reducing losses of public entities. by the time the next round of talks start, an indian shall be the chief economist at imf. good luck with the loan, folks. @rajeev sharma, IMF was invited it is prerogative of a state to use your way of doing things what may be the cost. But remember in next phase of negotiation they place tougher conditionalities including non financial obligations. With India pulling strings through Trump at backend, what do you expect? It is critical and imperative that the Government takes immediate measures to recover money from defaulters and debtors of electricity and gas consumers as well as those who steal from these energy utilities. At the same speed up cases of corruption and recover the stolen and embezzled money on priority bases and these actions will hopefully remove the need to go to IMF fir new programme and instead start to repay already borrowed money! @Ali_pak, first arrange $12 billions to meet budget deficit. @Ali_pak, only if wishes were horses. @Vikram, at least have the guts to use a real username. Imran Khan needs $12 billion not Trump. Before making these tall statements to please the home crowd, Imrwn should know that it's him who needs money for dam and to meet budget deficit, not Trump. IMF will have the last say. @Mansur Ul Haque, sane voice, this should prevail. IMF is by tradition, history and precedent a dictatorial, dishonest, dangerous and diabolical broker. It's better to stay away from it. Don't t take IMF loan. Preserve policy independence. IMF is not asking for a loan... We are. Act accordingly. @Newborn, "IMF will have the last say." They can force Pakistan to take loans? @gaurav, The talks will go this way. IMF:Give us the financial details regarding CPEC. Pakistan:No. Hence that negotiations start again to repeat the same. Someone will budge down to end this impasse and that's won't be IMF.